Okay, perhaps not totally how I feel but I thought it was hilarious. You know everyone feels like that every now and again. Who hasn’t? 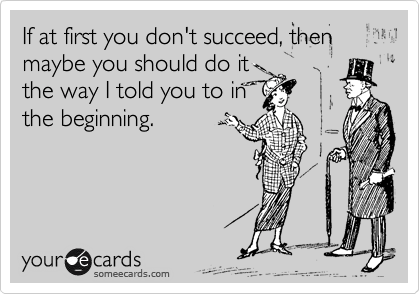 And the Someecards site keeps me laughing all the time. Enjoy! Haha! That made me laugh. Those e-cards are so hilarious… and true! Ok, I may need to make this into a t-shirt for my mom to wear!